Psychometrics is the study of human behaviour, by going beyond the who to understanding the why. 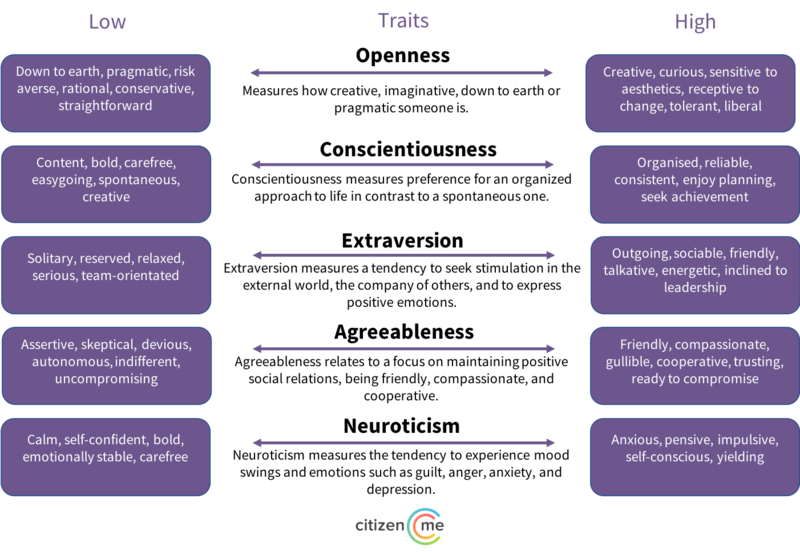 As mentioned in our previous blog, psychometric profiles are a great way to gain insight into the personality types of individuals, and their use in research can generate incredible results. Not only can it enrich and improve marketing strategies, but it can also help identify new customers and refine communication methods with the people who matter most to you and your company. In this post we’ll look at how, using the CitizenMe platform, you can integrate respondents’ psychometric profiles with your survey responses to unlock richer insights, and importantly how to analyse the results. 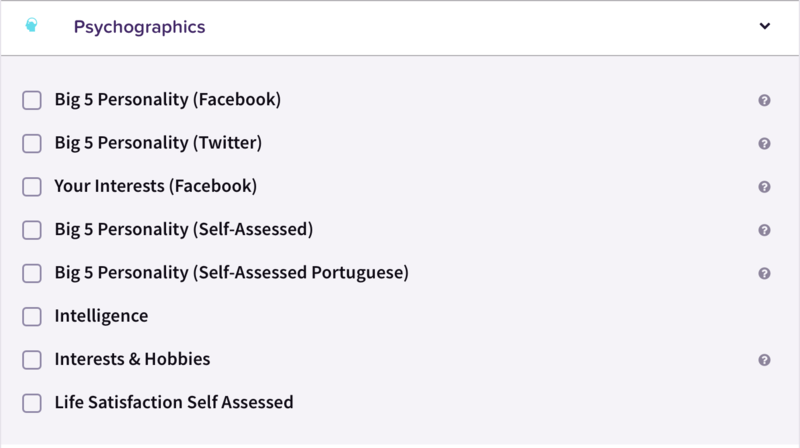 What psychometrics are on the CitizenMe platform? 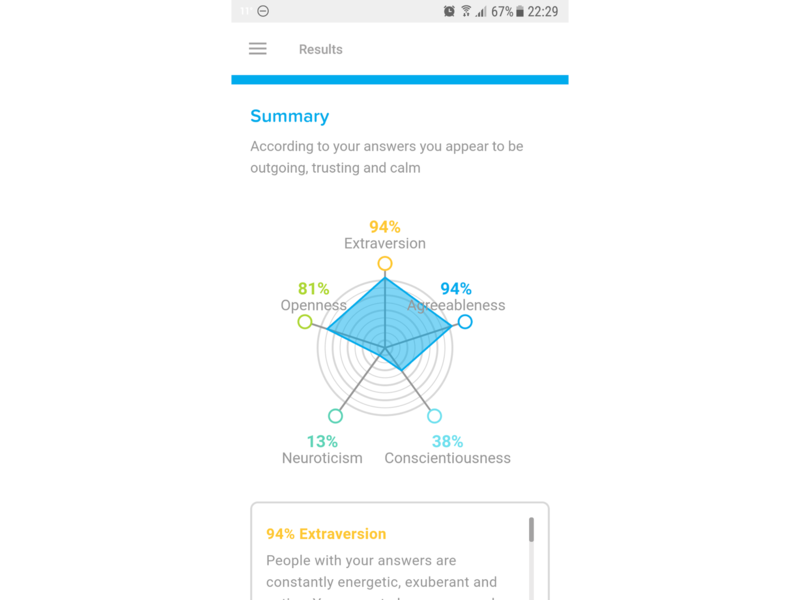 CitizenMe has a number of different psychometric profiles that you can request Citizens (our app users) to exchange with you. Openness: Do they enjoy new experiences? Conscientiousness: Do they prefer plans and order? Extraversion: Do they get energy from spending time with others? Agreeableness: Do they put people’s needs before theirs? 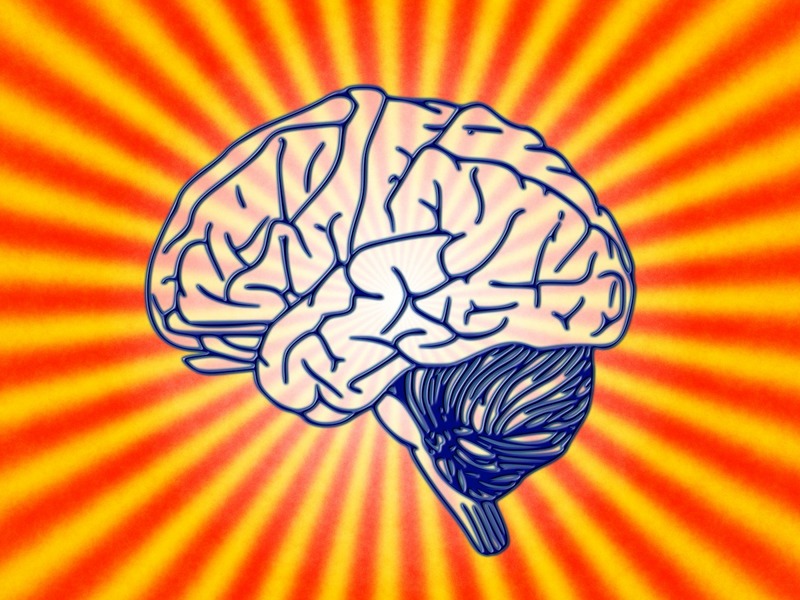 Neuroticism: Do they tend to worry a lot? Self-reported 20 Question: Users complete a personality survey of 20 questions, giving an assessment of their behavioural traits in social situations. This is the most holistic and stable view of personality. Based on Facebook: In partnership with Cambridge University Psychometrics Centre, CitizenMe uses an algorithm that translates a users’ Facebook page likes into a psychometric profile. This gives an understanding of users’ personalities on social media. Based on Twitter: Similar to the above, but using open text analytics, we can gain a more temporal understanding of a person’s state of mind, based on their last 20 Tweets. Psychographic options on the CitizenMe Exchange platform. Mapping these psychometric profiles against respondents’ responses to the rest of a survey will significantly enrich and deepen the insights you can pull from your results. Each personality trait measured in the OCEAN Big 5 Model does so by assessing an individual against 5 traits on a scale of 0 to 100. By defining the two extremes of these 5 characteristics, you can easily gain an understanding of the type of personality an individual has depending on how low or high they score. Coming soon: An in-depth look at each individual trait and what it means for marketing. How much of each trait a person has, shapes how likely they are to participate in certain activities and react in certain situations. Researchers have actually found conscientiousness, extraversion, openness to experience, and neuroticism to be relatively stable from childhood through to adulthood, despite external factors being able to have an impact in shaping your personality. However, our research has also shown that, whilst the baseline remains constant, each dimension will often vary according to digital contexts. 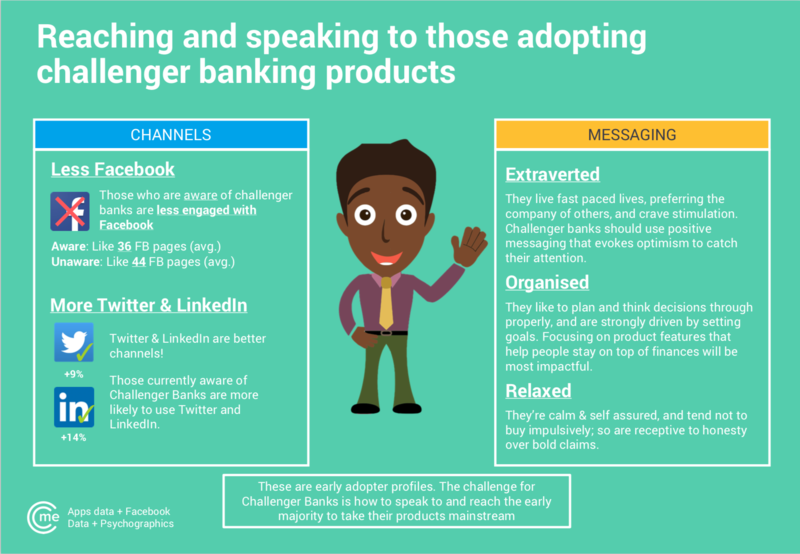 Just like in real life, many of us present different personality traits in different social contexts; Twitter vs LinkedIn for example. Integrating psychographics with demographic data and mapping it against respondents’ answers to more traditional survey questions enriches your results and enables practical insights that would otherwise not be possible. By taking this approach, you can ensure that you and your company are “marketing to people not stereotypes”. Curious to know how powerful psychometrics can really be and how you can integrate psychographic MeData questions along with your survey? Try it for yourself: simply sign up to the CitizenMe Exchange and have a go! Any questions, simply contact us here. Can We Trust Brands With Our Mental Health?